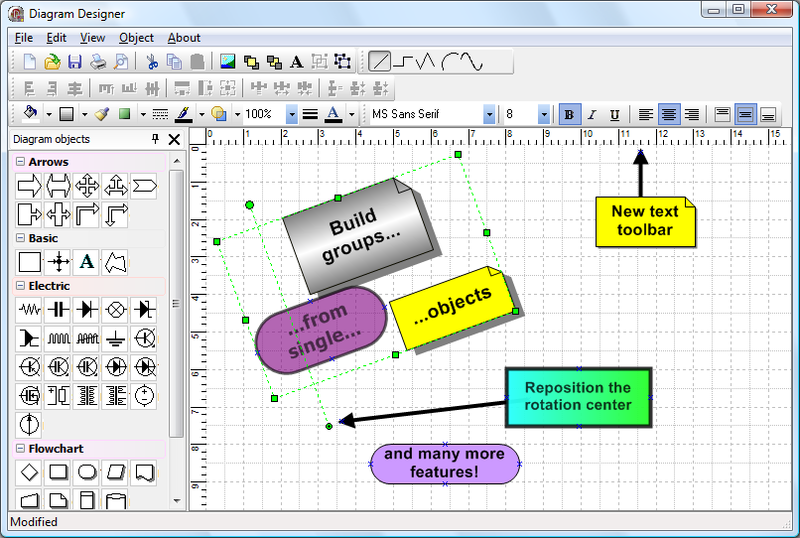 clipboard operations, object deletion and inserting, zooming, and more. 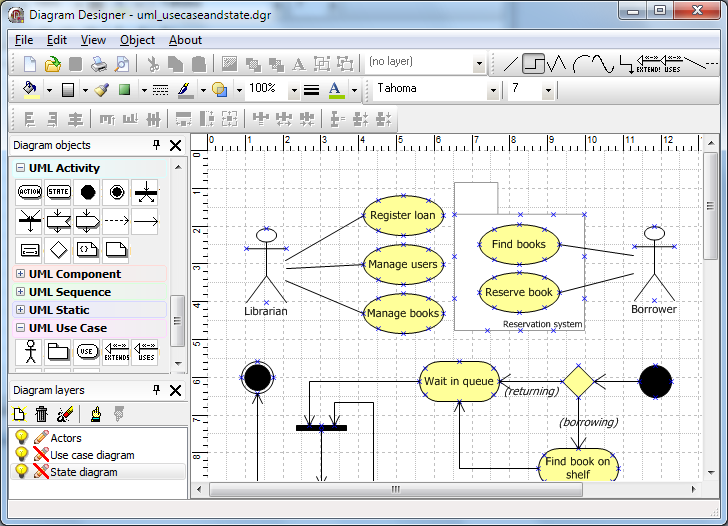 I just wanted to say a big thanks for the "Live Diagram" feature in Diagram Studio. 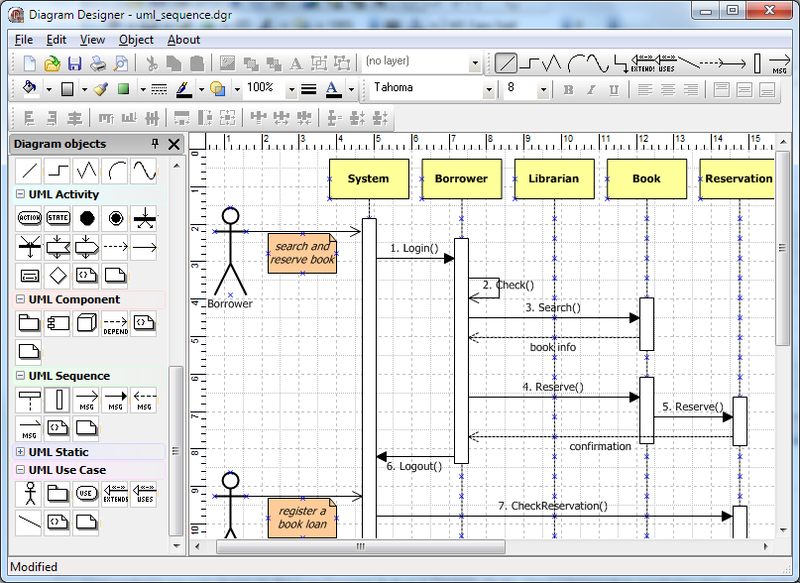 I have a temperature monitoring and control application that can make good use of this idea. 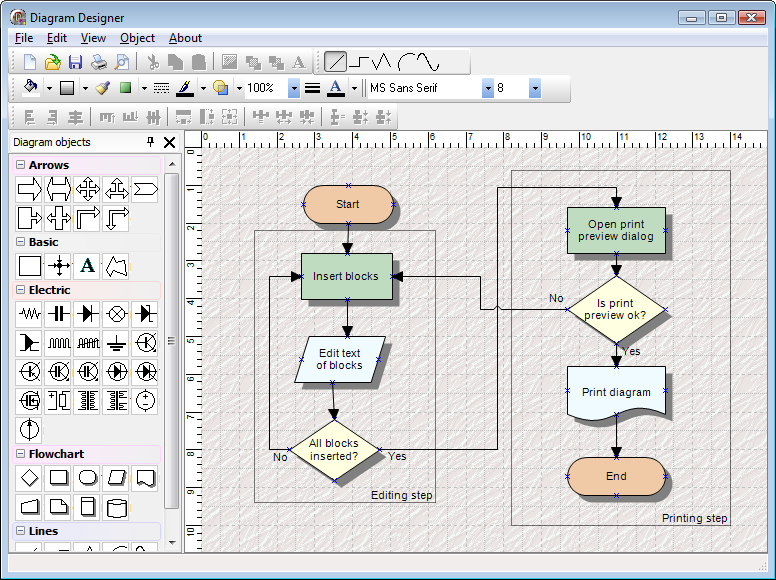 It will allow me to visually manage and display a stepped control process, where temperature settings change with time. Thanks again! 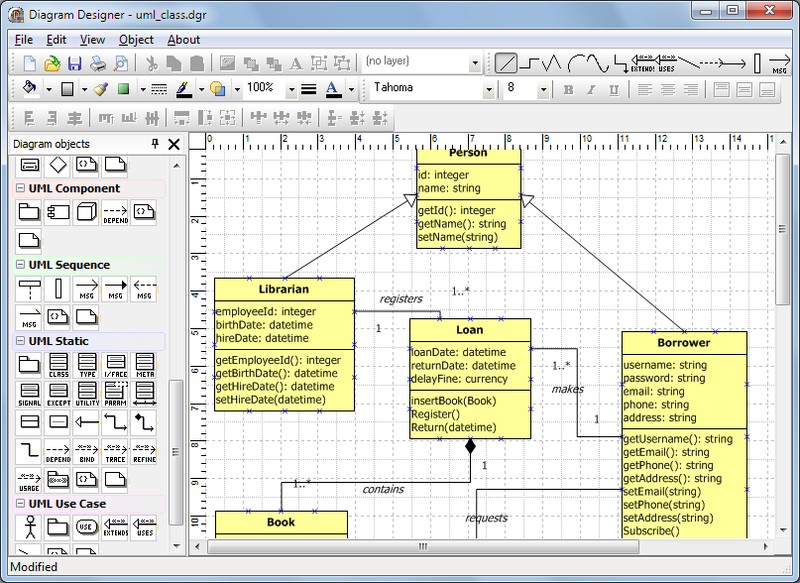 I enjoy diagram studio a lot. It is simple to use and very effective. 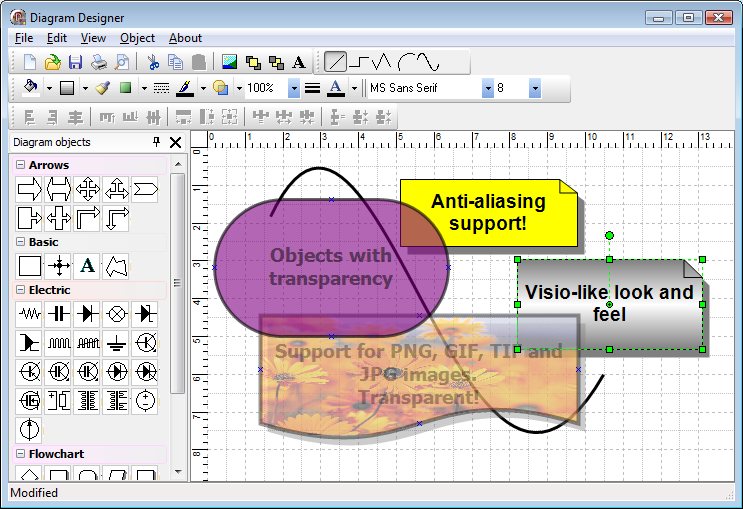 In short, an excellent component. 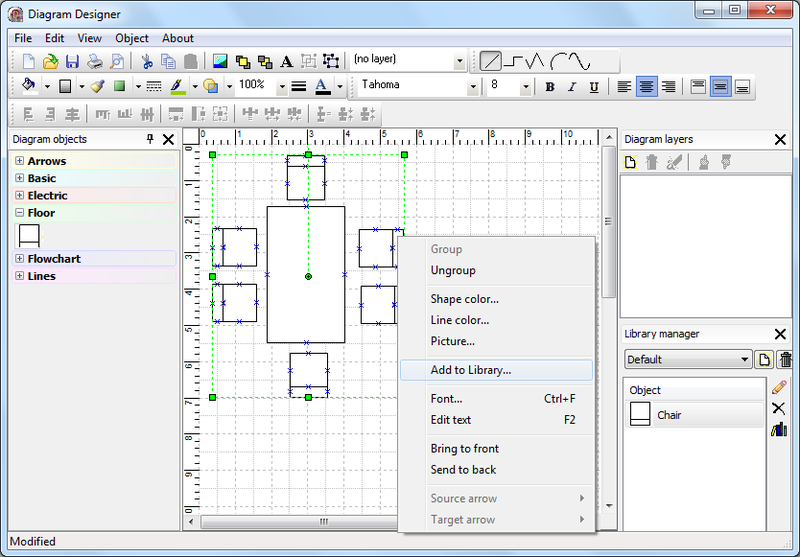 I have installed the Diagram Studio trial version and am impressed, really a great component. 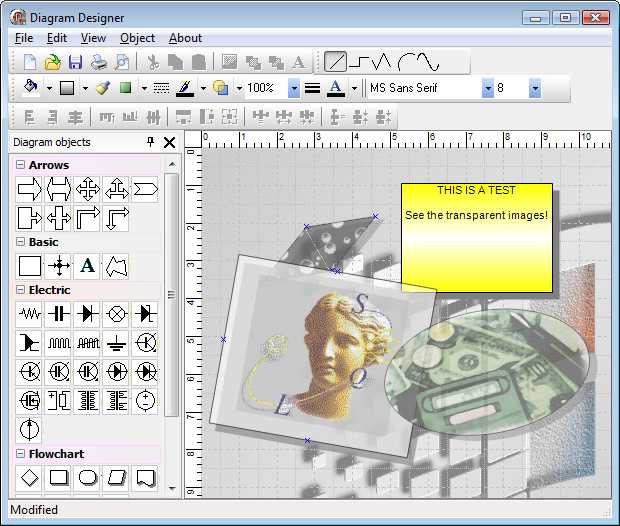 I want to congratulate you for the component development of the very good Diagram Studio. 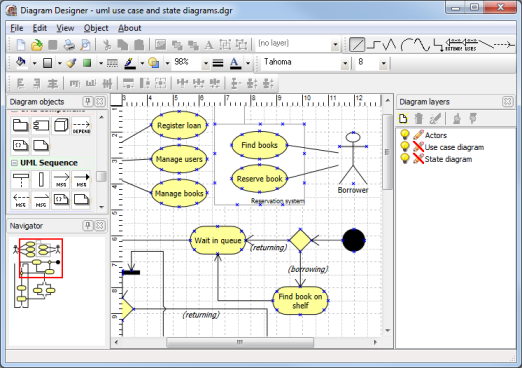 Thanks for a very nice and easy diagram editing environment Diagram studio is a quite straightforward way of designing things. This is a wonderfull component !!! !